Agile Lab became what we are today since 2005, on the realisation how painful it was in reality to develop and grow a great software. Along the way, we have been pivoting, trying out new technologies and methodologies. 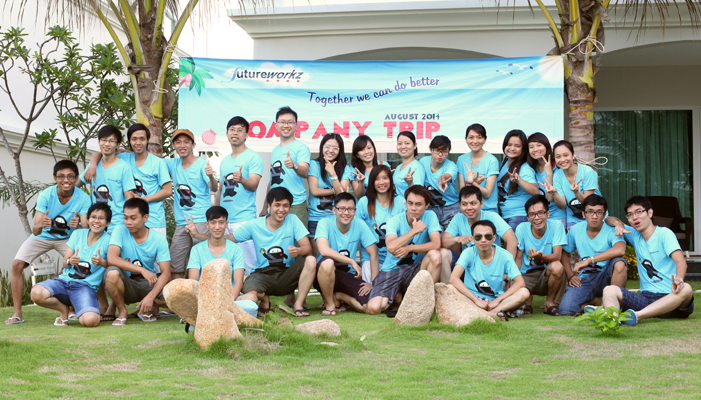 Today, we are a company with offices in Singapore and Vietnam with an extraordinary team that never stops innovating. But our mission has not changed, we seek to continuously help startups and organisations build software that your users really need and not what you think your users want. We are no different from a carpenter or custom car maker who rely on their expertise and experiences to create a beautiful and functional chair or car for their customer. We are specialists in developing custom software for web and mobile through through our Agile thinking, coding and design craftsmanship. We are craftsmen, creators, partners, consultants and sometimes saviours to our clients. The final product launched on the web or in mobile stores, represents who we are and our craftsmanship. There is always a newer and better way to make things work in the Internet of things. We should not stay entrenched in yesterday’s thinking. We do not condone failures in Agile Lab. In fact, it’s often the failures that iterates to success. We are active learners and do not shy from anything new. We also recognise that the best way to learn is to teach. Through teaching, we share our knowledge. We are not afraid that our knowledge is wrong. We are only afraid that our mind is closed from learning. We actively engage and contribute with the community of startups, developers and designers through our blog, tech meetups and open source work. Without vision, we are lost. In whatever we do, we always strive towards being the best in the world. We love best practices, best ideas, best methods, etc. We actively research and adopt best-er practices in our work to improve our skills. No knowledge in the world is useful until it can be applied. To apply knowledge, we need discipline in our work and in our life. While we can be crazy and unorthodox in our thinking, we exert discipline in our execution and conduct. Are you ready to build great software?